In an industry that still struggles with gender, racial equity, and inclusiveness, African-American architects continue to make an impact – and significant contributions in their communities, their cities, and around the world. They may be few in number, but these pioneering men and women are creating and designing marvelous structures and reshaping the American and international landscape. Let us introduce you to Michael Marshall, Gabrielle Bullock, and Frank Christopher Lee, whose work, vision, activism, and leadership inspire positive changes in the field. “As a young boy growing up here in Washington, D.C., I loved drawing and design. I could only have dreamed that a career contributing to the renaissance of our city would have led me to this meaningful moment” (comment on being named recipient of the 2018 UDC Alumni Award for Professional Accomplishments). Around Washington, D.C., there are a number of high-profile buildings that display the unmistakable impact of Michael Marshall in his native city. On Connecticut Avenue, there’s the Student Center at the University of the District of Columbia, the Chuck Brown Memorial Park in Langdon Park, the historic Howard Theatre on T Street, a number of public schools, and private residences. In the Southwest section of the city is Audi Field (home of Washington’s Major League Soccer team – DC United); and within the historic St. Elizabeth’s East campus is a new entertainment and sports facility. The fascination for architecture came early for Marshall. At age 11, he created his first set of blueprints after a friend showed him blueprints used for carpentry designs. With dreams of becoming an architect, Marshall enrolled at a technical school that offered design courses. In 1975, the school became a part of the University of the District of Columbia. Its faculty and community inspired the young Marshall to complete a degree in architecture and studio art at the Catholic University of America. During his master’s program at Yale University, one of his professors was the Pritzker Prize-winning architect Frank Gehry who designed iconic buildings such as the Walt Disney Concert Hall in Los Angeles; the Olympic Fish Pavilion in Barcelona, Spain; and the Weisman Art Museum in Minneapolis. After his graduation from Yale, Marshall worked as a Design Associate for Hartman-Cox Architects and Ward-Hale Design Associates – both in Washington, DC. In 1988, he won a Graham Foundation Fellowship and lived in Italy for a year to study modern Italian painting and architecture. Upon his return to the U.S. in 1989, he launched Michael Marshall Architecture and was officially in business. One of his major projects during those early stages of his career was the restoration and renovation of his current home. In 1991, Marshall found buried treasure in the form of a 79-year old stone house in DC’s Forest Hills section. The home was on the auction block following a foreclosure, was covered in vines and steeped in sewage gases after being vacant for five years. 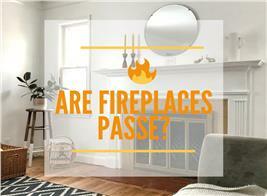 Inspired by Old World architecture during his time in Europe, Marshall and his wife spent considerable money renovating the 5,500-square-foot home – stripping the utilities but leaving its best original features: a fireplace made of stones from the Potomac River, rare chestnut woodwork, and oak floors. Marshall incorporated contemporary elements with the Old World feel of the English Tudor and French Norman styles into the home. 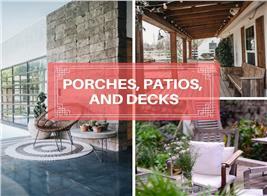 For 22 years, he was at the helm of Michael Marshall Architecture; then partnered with Paola Moya in 2011 to form Marshall Moya Design – a partnership that was dissolved in 2017. He rebranded in 2018 and created Michael Marshall Design (MMD). City Vista (2006-2008) – An award-winning mixed use development at the former location of the Old Wax Museum at 5th and K Streets, NW, it includes apartment units and condominiums, a Safeway, Starbucks, a bank and retail space. MMD collaborated with Torti-Gallas and Partners to design and build the complex. Rock Creek Residence – designed by MMD – is a 20,000-square-foot home and entertaining space for a high profile media executive. Separated into two wings, the luxurious home has a west wing with the children’s bedrooms and family room. 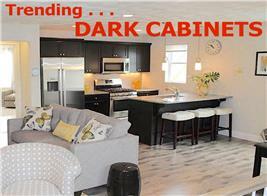 The east section accommodates the two-story living-dining space, kitchen, home office, and a master bedroom suite. The breezeway between the two wings provides views from the rear terrace out to Rock Creek Park. After the design… here’s the new exterior of the iconic Howard Theatre. 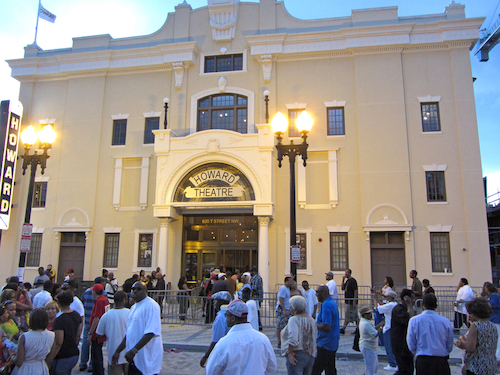 Today, the 30,390-square-foot theatre is a multi-functional facility that hosts celebrity events, live performances, corporate meetings, and “Sunday Gospel” brunches. Its beautiful new interior designed by MMD and completed with Moya Design – begins a new era in music, performing arts, and corporate events. (Photo: Richard Gunion | Dreamstime). Chuck Brown Memorial – located in the District’s Langdon Park – is a space dedicated to the legendary Godfather of Go-Go. MMD’s design features a photo mosaic tile wall that wraps around the amphitheater and showcases Brown in a larger-than-life format. The memorial is a perfect place for outdoor recreation – providing lawn seating and benches for outdoor performances and instrumental drums for children to play with. Features include: (1) an arc of photos that curve around the exterior of Chuck Brown Memorial, highlighting his life and career; (2) a huge sculpture of the musician that stands at the entrance of the park to greet visitors; (3) space next to the photo wall for chimes and drums that children can play with. Audi Field, the new home of DC United – Washington’s Major League Soccer franchise – is a collaboration with Populous, a globally-recognized architecture firm based in Kansas City (MO). The 437,938-square-foot state-of-the-art stadium accommodates 20,000 fans and features 31 luxury suites. In addition, there is a 200-capacity bike valet lot and close to 500,000 square feet of space for offices, retail, and other amenities. Audi Field opened in July 2018 for the Major League Soccer season. Part of Audi Field, the home turf of Washington DC's soccer team, DC United, is this “seating bowl” with canopies surrounding an uncovered field (photo credit: Audi Field by Rainclaw7 licensed under CC BY-SA 4.0). With his newly branded firm – Michael Marshall Design – Marshall has a number of projects on the pipeline not only in the Washington area but around the country and abroad. They include schools, libraries, water towers, mixed use complexes, and a skating rink. He and his group continue to design and create relevant public spaces that drive positive change in communities and inspire others through architecture. “The work we do is directly tied to cultural differences. … That’s why the design profession should mirror the community and clients we serve” (induction ceremony at the Annual Meeting of the International Interior Design Association). One of only 404 African-American women who are licensed architects in the U.S., New York City-born Gabrielle Bullock is principal and director of global diversity at Perkins+Will, an 83-year-old architecture and design company with a workforce of more than 2,000 professionals. Bullock – the firm’s first African-American woman managing director – has been with Perkins+Will for 30 years, first in New York and now in Los Angeles. Her appointment as director of global diversity was an industry-first that set off a wave of similar roles, programs, and initiatives across the design profession, and she is the first African-American woman to preside over the International Interior Design Association (IIDA), the world’s leading industry group for interior designers. 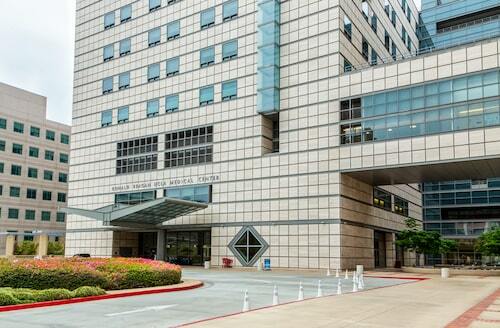 The Ronald Reagan UCLA Medical Center in Westwood is Bullock’s biggest work. Her firm – Perkins+Will – served as executive architect for the hospital designed by I.M. Pei and C.C. Pei of Pei Partnership Architects (Photo: Ken Wolter | Dreamstime). Like Michael Marshall, Bullock discovered her artistic talents quite early and began designing her own stationery when she was nine or 10 years old. Her artistic ability earned her a coveted spot at the Fiorello H. Laguardia High School of Music & Art and Performing Arts. From Laguardia High School, it was on to the prestigious Rhode Island School of Design (RISD) where she graduated with degrees in fine arts and architecture in 1984 – becoming the second African-American woman to earn an architecture degree from that university. At age 12, she made up her mind to be an architect as a way to improve public housing and the lives of those who lived in them. So after graduation from RISD, Bullock worked for several small firms specializing in public housing, then to Chicago-based Russo and Sonder, a healthcare-focused firm that Perkins+Will acquired. Over the course of three decades, Bullock has directed notable projects that are community based and engaged with the neighborhood. 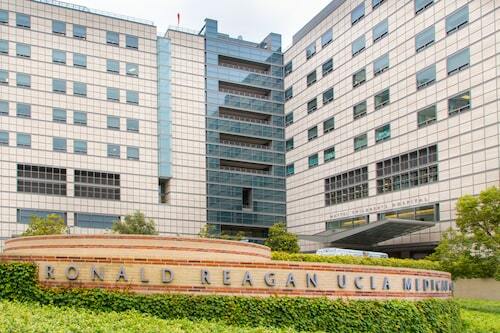 Among them are the Ronald Reagan UCLA Medical Center in Westwood, one of the largest building projects ever completed for the University of California system – and one of the biggest that Bullock had ever worked on and managed – a project where she learned more about technique and the theory of design. The "bridge" at right is one thoose connecting buildings of the Ronald Reagan UCLA Medical Center in the Westwood section of Los Angeles (Photo: Ken Wolter | Dreamstime). Bullock also worked on the design of the Arnold and Mabel Beckman Center for Cancer Immunotherapeutics and Tumor Immunology at the City of Hope medical, education, and research facilities in Duarte, CA, and the Jeddah campus of King Saud bin Abdulaziz University for Health Sciences, the first public university specializing in health sciences in Saudi Arabia and the Middle East. Bullock’s latest big project is Destination Crenshaw, a 1.1-mile outdoor museum that celebrates the story of black Los Angeles through art, history, music, and technology. 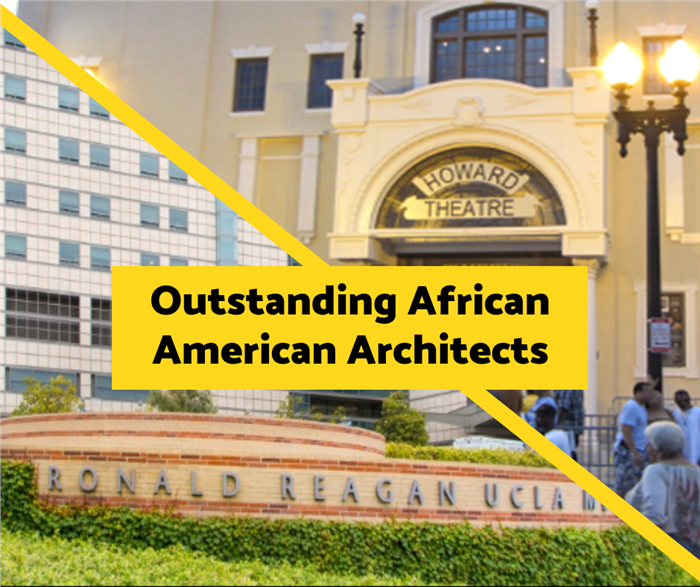 Working with her on Destination Crenshaw are three other African-American architects – including Phil Freelon, who was the lead architect for the National Museum of African American History and Culture in Washington, DC; Zena Howard; and Drake Dillard. Currently president of the board of the International Interior Design Association, Bullock is a fellow of the American Institute of Architects (AIA) and serves on the AIA’s Equity in Architecture Commission. She is a member of the National Organization of Minority Architects (NOMA), a past board member of the Girl Scouts of Greater Los Angeles, a board member of the Center for Architecture and Urban Design Los Angeles, and a LEED Accredited Professional. As Bullock continues to advocate and create opportunities for the underrepresented, she is encouraged by the moderate progress and is optimistic about the future of minorities in the architecture and design fields. 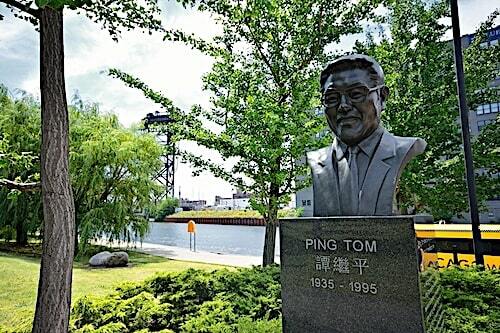 Frank Christopher Lee, President and Co-founder of Johnson & Lee Architects, designed the boathouse at the Ping Tom Memorial Park in Chicago’s Chinatown refiverfront (Photo: StockPhotoAstur | Dreamstime). For more than 40 years, Frank Christopher Lee has designed buildings, recreation facilities, hotels, libraries, and restaurants in urban communities. Born on Chicago’s Southside, Lee attended Lindblom Technical High School and is a graduate of the University of Illinois at Chicago with a Bachelor of Architecture degree. He received his Master of Architecture in Urban Design from Harvard University’s Graduate School of Design. Lee has been a visiting professor, critic, and lecturer at universities across the country, including Cornell, Tulane, Virginia Tech, University of Michigan, University of Virginia, and the School of the Art Institute of Chicago. He has also lectured at the Toronto Society of Architects, Chicago Architecture Foundation, the Graham Foundation, Chicago Chapter or the American Institute of Architects, The Society of College and University Planners, and the Chicago Historical Society. Prior to founding Johnson & Lee in 1983 with Craig Johnson, Lee worked at Helmut Jahn’s firm – Murphy/Jahn and O’Donnell, Wicklund, Pigozzi. From community centers and colleges to banks and other buildings, Lee’s designs promote positive social interaction and provide architecture that enhances community life and the restructuring and revitalization of their neighborhoods. Take the renovation of the historic Strand Hotel in the Woodlawn section of Chicago. Working with Holsten Real Estate Development Corporation, Johnson & Lee converted the hotel into an affordable 63-unit apartment complex. In describing the conversion of the Strand Hotel into an apartment complex, Lee noted that his firm “wanted to keep the street animated, which retail on the first floor will accomplish … and access to the green line enhances the transit-oriented development” reinforcing his philosophy of creating developments that blend in with the surrounding community. With the boathouse at Ping Tom Memorial Park, Johnson & Lee helped transform an unused industrial strip of land into a beautiful public space. Another project completed by Lee’s firm is the redesign and expansion of the Whitney Young Library into a state-of-the art facility that serves Chicago’s Chatham and Park Manor neighborhoods. Included in the renovation: an Early Learning center for children; Youmedia digital lab for teens; additional seating; meeting and study spaces; expanded computer access; and ADA accessibility throughout the building. The new Whiney Young Library includes an additional 3,000 square feet that provides neighborhood residents a much-needed public gathering space for community activities. Like their predecessors who paved the way for them in the architecture and design fields, Michael Marshall, Gabrielle Bullock, and Frank Christopher Lee are demonstrating the power to shape the world and, in the process, make a difference.